[0:04] <Xark> anunnaki: Sounds about right. It is possible to use (e.g.) FTDI USB to TTL serial adapters to flash a bootloader on a blank chip too (with a simple circuit). [0:14] <mattwj2002> anyone have a rpi 2 yet? 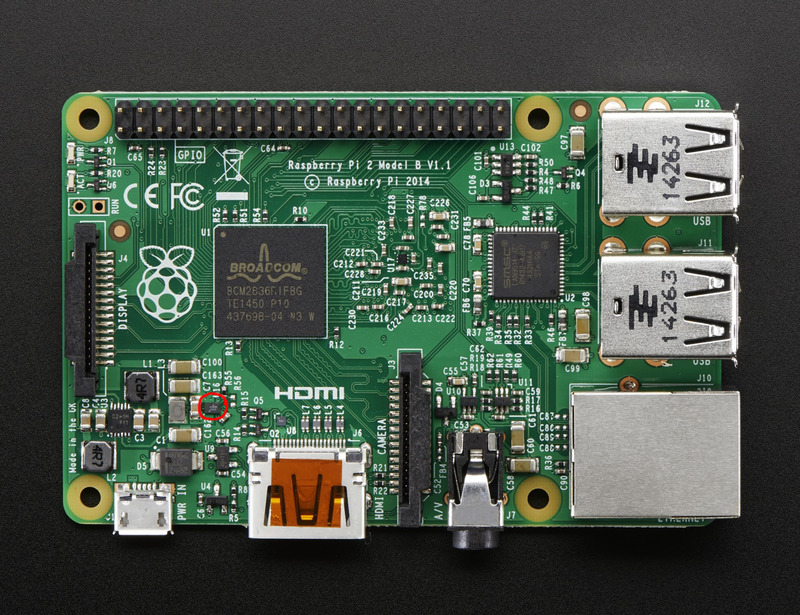 [0:17] <mattwj2002> turtlehat: is there a windows 10 preview for the rpi 2 ? [0:18] <mattwj2002> the rpi 2 will run the original rpi images right? [0:20] <mattwj2002> turtlehat: what have you done with it? [0:24] <mattwj2002> I just found out that rpi has a gps hat! [0:29] <mattwj2002> do you like it? [0:29] <mattwj2002> what is going on? [0:32] <ali1234> who said "verta" is "blood" in Finnish? [0:32] <mattwj2002> I am so done with the Finnish people! [0:33] <mattwj2002> I am an American so let the jokes begin! [0:34] <ali1234> hmm if i put "Verta" then it does say "blood" but "verta" = "to compare"
[0:39] <xace> Hey, does anyone know of a project/library for supporting a sd card reader/writer through GPIO? [0:44] <xace> Xark, ali1234: thank you. [0:48] <Gadgetoid> Damn the Pi birthday bash will be so boring now! [0:48] <Gadgetoid> It will have to be in perfect darkness, with all light sources confiscated on the door! [0:49] <Gadgetoid> No, none of that IR it could reset my Pi 2! [0:50] <Xark> Gadgetoid: Taking a hard line and banning all photons, huh? [0:50] <Gadgetoid> All of them! [1:15] <Xark> jhford: That orange looking tape is Kapton tape so the part can be grabbed by vacuum pick and place (I believe). [1:17] <Xark> mattwj2002: I believe gravity waves propagate at speed of light too (although gravity waves haven't been directly detected yet). [1:25] <zenguy_pc> can i share my ethernet connection to three wireless usb's simultaneously ? [1:26] <zenguy_pc> Xark: can you point me to the right direction? [1:27] <Xark> zenguy_pc: I think it just normal routing, like if you had multiple ethernet cards. [1:28] <Xark> zenguy_pc: Describe exactly what you want to do. What kind of USB WiFi? Do you want to be an access-point? [1:30] <Xark> zenguy_pc: I think the main thing is that for 2nd Wifi it will be device wlan1 (vs wlan0) etc. [1:31] <Xark> zenguy_pc: OK, I think that Adafruit article is a good start (it should get first WiFi working and as I mention others are similar with different device). [2:27] <Foxhoundz> Is there any places where the RPi is in stock? [2:27] <Foxhoundz> not a MONTH from now? [2:43] <oldtopman> Foxhoundz: RPi has a terrible supply chain. No place at all. [2:45] <oldtopman> Foxhoundz: That thing didn't just run out, it was impossible to get for up-near a year. [2:45] <oldtopman> I pre-ordered hours after it came out, and it was well over a month before it came IIRC. [2:50] * oldtopman still has his original Pi 0. [3:05] <abnormal> peice of crap? [3:06] <ali1234> ozzzy: v1 or v2? [4:49] <PovAddict> so I thought "let's plug in a USB keyboard, a monitor, and install the wi-fi stuff"
[4:59] <hovis> Hey guys, I'm hoping to get some help troubleshooting a simple thermometer job. I've followed the many tutorials for the ubiquitous DS18B20 thermometer, and I got it to work easy peasy. Two days later, now I can't get the pi to recognize the thermometer on GPIO4. [5:01] <hovis> clever: how long is "long" to you? This is a 1 meter wire. [5:02] <hovis> I don't think that could be my problem. My thermometer is only 1 meter of cable away from the pi. [5:02] <clever> hovis: do you have a scope? [5:03] <hovis> I'd have to go dig it up, but I've got an old analog job in the shop. [5:03] <hovis> Good thinking, though, it seems a logical next step. [5:03] <hovis> Okay, I'll try that. I have little experience with digital circuits. Can you suggest a google query so I can read about "rise times"? [5:04] <oldtopman> hovis: 'signal rise time' should do it. [5:04] <oldtopman> Basically, the amount of time it takes for a signal to go from 0 to 1. [5:04] <clever> also, is it passively or actively powered? [5:14] <clever> you got 2 resources on one element working? [5:15] <clever> where exactly is the problem appearing? [5:15] <clever> bt848 capture?, an actual tv? [5:15] <clever> does normal software on the bt848 decode it? [5:16] <clever> what if you run your own decoder on it? [5:17] <clever> lol, whats wrong with it? [5:19] <PovAddict> what are you two up to? [5:21] <PovAddict> what TV capture thingy are you using? [5:25] <PovAddict> recovering from VHS? [5:28] <PovAddict> what packages do I need for working wifi? [5:28] <clever> PovAddict: and you cant just stick an ethernet cable in it? [5:36] <jamesd> why does my b+ pi only show one core in /proc/cpuinfo ... do i need to install an SMP kernel? [5:42] * jamesd fights the urge to order a pi 2... i don't really need another desktop... the single core will be fine, the single core will be fine. [5:49] <jamesd> okay it feels a lot faster over ssh anyway... i should just forget it runs X... and call it a day. [6:14] <clever> hovis: did you enable one-wire in device-tree? [6:15] <PovAddict> does the Pi have a UART? [6:16] <PovAddict> so can I communicate via serial? say, make an IR remote thingy by connecting an IR LED to a GPIO and *not* bitbanging myself? [6:18] <PovAddict> is lirc specific to any IR protocol or can it do whatever? [9:23] <shiftplusone> Chib, what's the problem? [9:24] <Chib> Starts booting then about 3 seconds into the screen filling with text it just reboots and keeps looping. [9:25] <Chib> Tried multiple power supplies and I'm not doing any overclocking. [9:28] <Chib> Yeah, I'll try. Just doing a full overwrite format with SDFormatter atm. [9:28] <ShorTie> what is on your sdcard Chib ?? [9:28] <Chib> Tried Raspbian and NOOBS. [9:29] <Chib> NOOBS doesn't give any text, just a colourful box thing before rebooting. [9:29] <ShorTie> latest versions ?? [9:30] <ShorTie> what model pi again, missed it ?? [9:30] <Chib> Downloaded direct from raspberrypi.org. [9:30] <Chib> So probably latest. [9:32] <ShorTie> should be, like 2015-01-31-raspbian.zip ?? [9:34] <Chib> Yep that's the one. [9:43] <Jck_true_> Chib: Have the card worked for you before? [9:43] <Chib> And for Raspbian I used Win32DiskImager. [9:43] <Chib> I've never booted off it Jck_true_, just bought it today. [9:43] <Chib> Not having any problems writing or reading stuff on it though. [9:44] <Chib> For Raspbian I also did a full overwrite/erase with size adjustment too. [9:44] <Chib> Just redoing that again now and going to try NOOBS again. [9:47] <ShorTie> you did extract the image from the zip file right ?? [9:51] <[Saint]> Any particular reason you're going with NOOBS? [9:51] <[Saint]> it's a bit weird and largely unnecessary IMO. [9:51] <Chib> Because Raspbian didn't work. [9:52] <[Saint]> I would suspect that to be an isolated issue. [9:52] <Chib> Immediately after displaying the splash screen, the PI starts consuming a little more current. If the PI resets at that moment, it is an indication that the power supply isn't able to deliver the full current your PI requires, but dips its output voltage below a minimum when loaded with the full current the PI needs. [9:53] <Chib> Seems likely it is a power issue then. [9:53] <Chib> I guess I'll have to try a 3rd power supply. [9:54] <[Saint]> You're wanting at least 5V, in the order of around 2A. [9:54] <Chib> The Raspberry Pi 2 blog post indicates the Raspbian and NOOBS files at http://www.raspberrypi.org/downloads/ should be fine for the 2. [9:54] <Chib> Yeah what I have should be sufficient. [9:55] <[Saint]> I'm sure that's the case, I was just saying that for most people NOOBS is overkill and largely unnecessary. [9:55] <[Saint]> And was referring to the raspbian image specifically. [10:01] <Chib> Think that's only 1.5 A though. [10:15] <[Saint]> The device has to indicate that its recognized it as a dedicated fast charging port and communicate its requirements. Pi can't do that. [10:15] <[Saint]> This "just works" for a lot of USB ports though because spec following USB ports are like unicorns. [10:18] <[Saint]> The pi itself wants a lot less than 2A for normal operation as well. [10:21] <[Saint]> A lot less on the A variants. [11:12] <[Saint]> Hahahaha, "Mogwai Effect"
[11:13] <[Saint]> And don't get it wet. [11:13] <[Saint]> ...otherwise it spits out evil Model A boards. [11:18] <[Saint]> Closest analogy I could think of to "feeding" a raspi. [12:01] <u-ou> do you think this http://www.adafruit.com/products/1601 and this http://www.adafruit.com/products/2253 and the B+ model will all fit together? [12:01] <Habbie> u-ou, i'd suggest asking adafruit, i bet they know! [12:43] <Chib> Yay, it was my power supply, all working now! [12:55] <phire> what causes it? [12:57] <[Saint]> Why the hell do people even use rpi-update still anyway? [12:57] <[Saint]> It was only ever briefly relevant. [13:02] <[Saint]> Ever since then rpi-update kinda died. [13:11] <[Saint]> Hmmm...maybe I'm misremembering. [13:11] <[Saint]> Does raspbian use *-next? [13:12] <[Saint]> Raspbian _does_ have bleeding edge kernel/firmware/header packages. [13:12] <[Saint]> I use Arch, so the package names aren't fresh in my mind. [13:13] <Habbie> does arch work on the pi2? [13:13] <[Saint]> But they do (maybe not for the pi 2, 'cos new?) exist, though. [13:13] <Habbie> related question, is there a newer chromium for pi than the very old version in raspbian? [13:16] <[Saint]> Habbie: chromium on a pi? You're game..
[13:16] <[Saint]> Even in the pi 2...ick. [13:18] <[Saint]> Ummm...how can I rephrase that. [13:19] <[Saint]> Yeah, that'll do. [13:19] <[Saint]> Compared to a web browser on a "real" machine, its terrible. [13:20] <[Saint]> So, you could say you agree then? [13:25] <[Saint]> Let alone adding a very hungry browser to the mix. [13:25] <Armand> Never used a DE on the Pi. [13:27] <[Saint]> Its orders of magnitude better on a pi 2. [13:27] <[Saint]> But still largely unusable by modern standards. [13:28] <[Saint]> Well, I mean...it works. [13:28] <[Saint]> So it /is/ usable. [13:28] <Armand> I run Kali on the ODroid U3 and that's very usable.. but that's a big step up from a Model B. [13:30] <[Saint]> I've been known to use lynx in screen on them occasionally. [13:30] <[Saint]> But most of my systems default to a CLI only session anyway. [14:22] <Lausi> I'm going to pick mine up later today. Kinda stocked. [14:22] <Lausi> What are you going to use yours for? [14:23] <Lausi> I mean, at that price, why not? [14:24] <Lausi> I'm kind of curious for how will it'll run Win10. [14:25] <Lausi> I doubt it is. [14:26] <Lausi> But, Internet of Things! [14:28] <Lausi> At the moment, I have mine marked for running a Mumble server. That's sort of the only thing I've been able to come up with thus far. [14:29] <Lausi> Yeah, my experience was the same. I was expecting there to be a couple of weeks wait. But mine came over night. [14:32] <ozzzy> one handles anti-dew heat, power supply, temp/rh monitoring etc. [14:32] <Lausi> Cool. Did you program it with the Arduino IDE? [14:32] <Lausi> Yeah, the IDE is the easiest way to use Arduinos. [14:47] <Lartza> Am I correct that if the ethernet is not USB has access to more bandwidth? [14:48] <Lartza> So using a WiFi dangle will reduce overall USB throughput? [14:51] <RaTTuS|BIG> ethernet is more efficent than wi-fi [IMO] - typing will also reduce the USB thoughput - but what device are you expecting to flood the USB to the max? [15:42] <Hix> unbelievable! RS finally admit they lost my 2 x Pi2 package from 02/02/15 and have offered to replace - for 03/03/15 Grrrrrr! [15:46] <mpmc> Hix: Wow that is bad! [15:47] <Hix> anyone know somewhere decent to get hold of them in the UK. Looking at CPC, anywhere else recommended? [15:48] <mpmc> O.O £36 on Amazon, wow..
[15:50] <Hix> hmm �29.95 with a case on Amazon... http://goo.gl/Asz97R but is it actually Rev 2? [15:51] <kushal> Will the old versions of rasbian work with RPI2? [15:53] <kushal> Hix, I have received 2 copies today morning, none of them showing anything other than that rainbow bootup screen. [16:00] <mpmc> Hix: You do get the heat sink, must be made of gold..
[16:01] <vegetablesalad19> hello, when I set gpio pin to low does it switch to ground (with some internal resistance) or just turns off ? [16:10] <VRocker> i'm having a fun issue with my pi2 atm... trying to compile my own kernel to boot a buildroot-based system but it wont boot. I've tried a kernel conf from openelec but having no luck. Does it need to be compiled with a specific version of gcc or something to be able to boot? [16:17] <vegetablesalad19> woodyj21,sorry don't see how it's related to my question. [16:24] <woodyj21> no prob bro! [16:51] <PovAddict> what's the best place to buy a Pi in the UK? [17:00] <PovAddict> why not RS? [17:01] <Hix> Ordered 2 on 02/02/15 and was informed today they had lost my package but could replace them 03/03/15..... A good enough reason for me. [17:05] <Hix> am I right that the of 2 partitions on the uSD I can do a dd of the non boot partition to an img file and then clone it to differrent cards to save network setup vnc, rdp, vlc installation etc? [17:06] <pksato> Lobosque: no, but have binary demuxer. [17:08] <diffra> Hix, if your home directory is on the SD card, you'll create an infinite loop there. [17:08] <Lobosque> pksato I will take a look into that, thanks. [17:10] <diffra> Not so bad actually - I run a weekly backup to an HDD in such a way, have a script that shuts down all the services, then gzips the image and starts everything back up. [17:12] <PovAddict> what is U2 in the pi PCB? the USB controller? [17:13] <oldtopman> PovAddict: Why do you ask? [17:18] <ali1234> is there a way to control the filtering / scaling of dispmanx? [17:25] <VRocker> bleh has anyone here got buildroot to work on a pi2? [17:31] <Hix> guess that's me screwed then. I was out of my depth hoping to get it to work, just by winging it. [17:32] <Hix> the run header by the display header, that's ahard reset yes? So if I have a button which triggers a sudo halt, then a button on this would act as a power up again no? [17:33] <syntax_erorr> I am trying to get zoneminder working with the raspberry pi camera module. I have followed the instructions at http://www.zoneminder.com/wiki/index.php/Hardware_Compatibility_List#Raspberry_Pi How ever I have no video to see when I try and view that camera in zoneminder. Does anyone have any ideas on what I need to do? [17:39] <ali1234> clever: it works! the problem wasn't my fifio, and it was tearing either. [17:46] <Lobosque> pksato: took a look at the 74HCT138 demux. didn't quite get the Enable thing. do you mind explaining me a little bit? [17:48] <ali1234> Lobosque: did you read the datasheet? 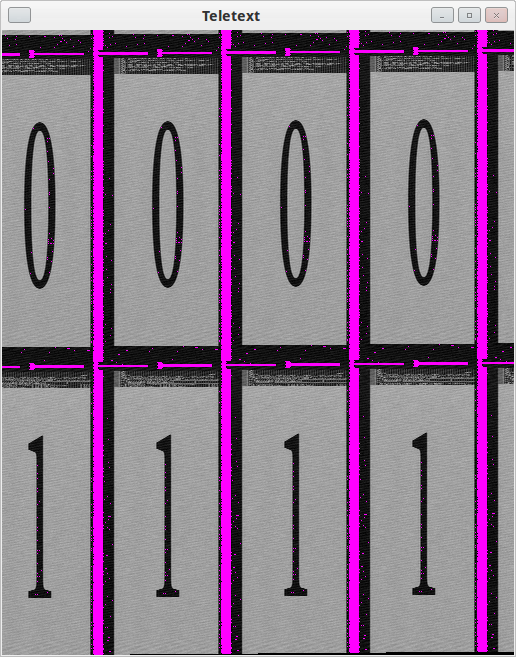 [17:48] <pksato> 138 have 3 binary input and 7 low ative output. enable activate these output, or address chip. [17:50] <Lobosque> why three enable gates instead just one? [17:52] <pksato> this chip are used as address decoder on ISA bus. [17:58] <pksato> isa was easy to interface http://linuxgazette.net/124/dutta.html , modern bus need a powerfull uC/asic/fpga/etc. [18:03] <IT_Sean> does it show up? [18:03] <IT_Sean> or what pksato said. [18:04] <IT_Sean> or that too. [18:04] <pksato> probable, get eth1 id. [18:07] <pksato> and, some usb ethernet not work on stock kernel. need a extra kernel module. [18:11] <pksato> sliddjur: that OS? [18:12] <pksato> ifconfig -a or tail -f /var/log/syslog must show some info. [18:12] <PovAddict> I have no physical access to my router, I just connected my raspberry pi to my laptop with a direct ethernet cable, how do I set up the /etc/network/interfaces so I can at least ssh in? [18:12] <sliddjur> pksato: "Raspbian GNU/Linux 7 (wheezy)"
[18:15] <sliddjur> Bus 001 Device 005: ID 0b95:1790 ASIX Electronics Corp.
[18:16] <PovAddict> looks like enabling ethernet on my laptop made me lose wifi and IRC?! [18:21] <ali1234> clever: it's just like the palette thing again where they said "you can only have one palette for the whole screen, surely that's enough right?" [18:22] <ali1234> you shouldn't get stripes unless it is tearing? [18:23] <leev> what cases do people recommend for the rpi2? [18:26] <clever> hmmm, why 8 fields at once? [18:26] <clever> but why is the window 4 fields wide? [18:33] <clever> wow, 2 bytes per field!! [18:38] <sliddjur> pksato: what does that mean. is it easy to do ? [18:39] <pksato> sliddjur: if you asking, not is easy. [18:50] <pksato> external powered hdmi-vga converter? [19:01] <abnormal> PovAddict, did you get your issues resolved? [19:06] <abnormal> ahh. sorry abt that... possibly hook a good battery to pi? [19:07] <abnormal> or is it affecting the router? [19:07] <abnormal> ok you have a powered USB hub? [19:09] <abnormal> so, yeh, buy one asap. [19:09] <Armand> I run mine from a solar set up..
[19:09] <abnormal> Belkin is a good one to get. [19:10] <Armand> Not trolling.... But.. They haven't burnt down your house? [19:10] <Armand> Belkin is literally the last brand I'd ever advise, unless you need a stop-gap measure. [19:12] <Armand> I build my own power supply (mostly), so I don't have to worry about it. [19:12] <abnormal> I see... is there any outlet ports on it? [19:12] <Armand> abnormal: Every time I've seen a piece of Belkin tech, it fails hard.. Usually *just* out of warranty. [19:26] <abnormal> ok, PovAddict , are you handy with wires? [19:28] <abnormal> can you take an unused computer cord and chop off one end and add a female receptacle to it? [19:28] <abnormal> then plug the power strip to that? [19:30] <IT_Sean> Um... I would generally advise NOT messing about with mains wiring. [19:31] <Armand> abnormal: Why not use a 12v DC transformer and an LV regulator to get 5v ? [19:37] <abnormal> ok, boss, I will shaddup..
[20:03] <ssvb> Klowner: sluggish compared to rpi1? or just slower than you would have liked? [20:06] <ssvb> Klowner: is this the standard raspbian image? [20:11] <g105b> I'm looking for a way to connect two electret microphones directly into the pi's gpio in order to use the pi as a noise cancelling stereo amp, and record directly to a file - is this possible? [20:14] <ssvb> Klowner: can you try to run perf to check what is taking time when you try to open an urxvt window? [20:15] <abnormal> your statement earlier? [20:16] <abnormal> what were you talking about? [20:16] <diffra> Are there any US retailers with the pi 2 presently in stock? [20:17] <ssvb> abnormal: I'm talking about "<Klowner> seems slower than rpi1, like it's taking about 1 second to open an urxvt window"
[20:19] <ssvb> Klowner: does it always take 1 second to open or is it faster on the second try (when the data from the sd card is already in cache)? [20:22] <g105b> ali1234: I'm a bit of a newbie, but I've been reading about I2S which acts as an ADC, is this true? [20:26] <JuriadoBalzac> Hi all! I just got myself a fancy new raspi2 but when I hook it up to the screen there is nothing, just black! Am I missing something? [20:26] <JuriadoBalzac> Is there a secret on-button? [20:27] <Klowner> JuriadoBalzac: do the little activity lights blink? [20:27] <ssvb> JuriadoBalzac: maybe an sd card with an operating system is missing? [20:27] <Klowner> JuriadoBalzac: did you remember to set the filesystem type on your boot partition to fat32 or whatever? [20:28] <Gadgetoid> JuriadoBalzac: SD card? [20:29] <JuriadoBalzac> Gadgetoid: Isn't there the NOOBS-thing built-in? [20:30] <IT_Sean> the Pi boots off the SD card. No SD card / No boot image = Pi no work. [20:32] <Gadgetoid> No idea if Pidora works, haven't tried it yet! [20:34] <JuriadoBalzac> Gadgetoid: It's just that I like RHEL, I've used it since the 90s, I work with it every day. Feels like home, you know. [20:50] <abnormal> really? different chipset? [20:52] <abnormal> I see... so you are a developer? [20:52] <clever> abnormal: yeah, is your pi on right now? [20:59] <clever> in every pi! [20:59] <abnormal> what does it do? [21:00] <clever> abnormal: the 3d or lirc one? [21:01] <JuriadoBalzac> Gadgetoid: thanks for the help there! [21:01] <Gadgetoid> JuriadoBalzac: No problem! [21:04] <PovAddict> hmm the one I have only has two legs, does that make sense? [21:12] <abnormal> is that called example.com? [21:12] <newke> hello. im waiting for my first single board computer - raspberry pi 2. i wonder will ill be able to run on it opencloud + openvpn + openssh services? [21:15] <JuriadoBalzac> clever: openvpn is happy on ARM? [21:18] <niston> yup that's what I meant. [21:19] <clever> you know of any programs that do that? [21:23] <clever> They would like to establish a VPN tunnel between their computers to exchange securely pictures of lolcats. [21:24] <IT_Sean> That's pretty specialist. [21:24] <IT_Sean> They do that. [21:25] <niston> the shard thing, I had that three weeks ago - also left foot. [21:27] <saq> hello everyone, i have a B+ right now and a pi2 on the way, has anyone had any positive experience with any usb 802.11ac adapters? [21:28] <patchie> In the last page of the user manual it says this: "Enter RPLCD directory through Raspbery Pi Terminal, and type make Demand, then this file would emrge the lcdemo excutable file. Type ./lcdemo, you would run this excutable file." [21:28] <patchie> Does anyone know where the RPLCD directory is? or what this is? [21:29] <PovAddict> hopefully not something in that SFInstaller .exe?! [21:29] <IT_Sean> patchie: it is likely a directory created in an earlier step, to which you may have donwloaded files to. [21:29] <IT_Sean> then you may have missed a step somewhere. [21:30] <IT_Sean> well, there is no "RPLCD" directoy unless you created one. [21:30] <PovAddict> "Transfer PRLCD code to the Raspberry Pi..:"
[21:31] <patchie> yeah..i copyed over that code...is that supposed to be the RPLCD directory? [21:31] <patchie> then i should do "make Demand"? [21:32] <patchie> make: *** No rule to make target 'Demand'. Stop. [21:32] <clever> patchie: what does ls show? [21:35] <niston> quite common for China Inc.
[21:35] <niston> obscure drivers on outdated links, or literally broken driver discs in the mail. [21:44] <mave_> anyone have an idea yet why my pi screen blanks after a while of inactivity? Raspbian, Openelec, they all do it. Pressing a key on a keyboard activates it again, but i have no keyboard attached to my rpi2 running Openelec. [21:51] <mave_> yeah, but does that apply to X too? [22:05] <abnormal> anyone in here in spotchat? [22:18] <abnormal> clever, you still there? [22:19] <abnormal> are you in spotchat? [22:19] <abnormal> I can't access it.. did that command you gave me mess it up? [22:20] <clever> what error does it give? [22:20] <clever> refused, timed out? [22:21] <clever> does it give an addr&port? [22:22] <abnormal> I use bnc4free to access it due to Verizon blocks spotchat. [22:24] <abnormal> do you know if spotchat is down? [22:24] <clever> try setting your bnc to port 6667 ? [22:30] <abnormal> ok prolly take me a while to find it, ty. [22:55] <H__> this being ? [23:01] <Sonny_Jim> Does Win10 ARM even have a desktop? [23:02] <niston> its time to make me a hot dog! [23:05] <clever> niston: ah, you got .net working cross-platform? [23:07] <clever> niston: is .net binary level portable? [23:09] <clever> can mono translate the assembly to native arm? [23:10] <peeps[work]> is webgl supported by the rpi graphics controller? [23:26] <turtlehat> anyone using nodejs ? [23:28] <clever> turtlehat: what error does it give? [23:29] <clever> turtlehat: can you pastebin some of it? [23:31] <clever> anything before the stack trace? [23:49] <RavenII> Holy MOLEY!...that's a lot of people. [23:50] <RavenII> So, since the Pi 2 uses the LAN9514 controller...does that mean that if you're maxing out the 100mbps due to a transfer...you're only left with 380mbps dedicated to the ports? [23:51] <diffra> And that's theoretical maximums, your actual observed speeds will be less. [23:52] <RavenII> Aha, ok...fair enough. [23:54] <RavenII> So you mean to tell me, that I can't USB3 speeds with gigabit ethernet, AND the community/support that the Pi has for $35! ?...what a rip off. [23:54] <ShorTie> zleap, did you run thru the Menu/Internet/Wicd Network Manager ?? [23:55] <MarkSX> Why does the oDroid C1 not get more attention for the price ? [23:56] <MarkSX> When was it released out of curiosity ? [23:57] <RavenII> MarkSX, I'm assuming the community...much larger/better support, I'd assume. [23:58] <niston> IS there an official channel anyways?